We recognize that the years between elementary and high school represent some of the most formative years of a student’s life. These students are truly in the “middle,” which can be challenging for students and parents alike. 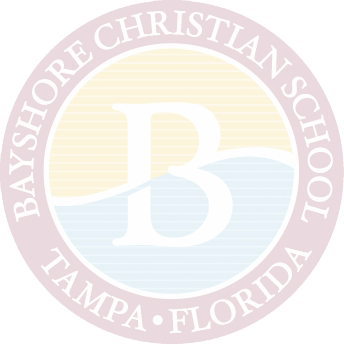 The faculty members at Bayshore Christian School who serve our students in middle division have a passion for working with students in transition. The focus is on the uniqueness of each individual student, while recognizing that easing transition between each division translates to confidence and success both in and out of the classroom. We build upon the foundation established in lower division, and work to encourage a deeper sense of autonomy in these students. Students begin to move between different classroom settings, with faculty members specializing in core academic subjects. 5th grade students move between two academic classroom settings, while 6th grade students move between three academic classroom settings. 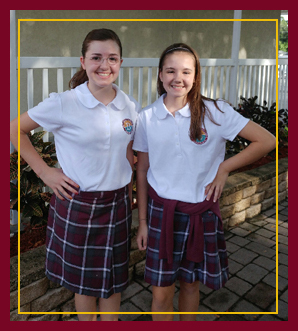 Both grades participate in the Middle Division Elective Wheel, where students may participate in fine arts, visual arts, physical education, computer technology, agriculture, journalism, and more! We emphasize the use of student driven technology so that by 6th grade, we charge students with using their own electronic device with campus-wide Internet access for textbooks and academic work. Student autonomy increases as they move between classes on a seven-period bell schedule. 8th grade students may receive credit for high school classes in order to prepare for advanced rigor and freedom of advanced electives in upper division. Participation in the Middle Division Elective Wheel continues, with the ability to incorporate focus and specialization in student schedules. We offer daily Bible instruction and weekly chapel attendance. 5th grade students take a trip to Tallahassee to study Florida government up close. 6th grade participates in Nature’s Classroom to take their Earth science studies to a new level. 7th graders take a trip to Driftwood Education Center to encourage team building, while enriching general science classroom studies. Our 8th grade trip to Washington, D.C., completes middle school study of civics and American government.